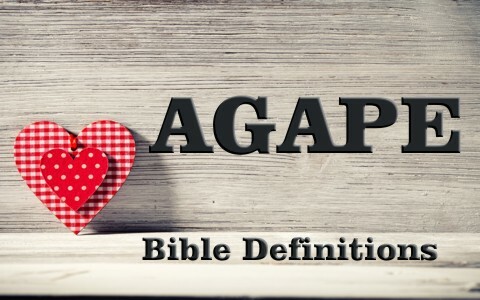 How does the Bible define “agape” love? What’s the difference between it and the other kinds of love? Jesus gave us all a new command and it was the command to “Love one another. As I have loved you, so you must love one another. By this everyone will know that you are my disciples, if you love one another” (John 13:34-35). This is a love that is apologetic in nature or shows everyone that we are Jesus’ disciples. Notice Jesus said that “everyone will know” that we are His disciples if we love one another so this love in action is evidence for inside the church but also outside of the Body of Christ, so that unbelievers will see the love of God displayed. When we love unconditionally, we show the world that we’re different and love one another in a way that’s not found in the world. This type of “agape” love will be covered more thoroughly in the following paragraphs but we can’t miss the point that Jesus commands us to love one another in this way. It should act as a magnet to attract and draw people to Christ as they see Christ’s love openly displayed in the children of God. The test of whether we love God or are just pretending is mentioned by the Apostle John who wrote that “If anyone says, ‘I love God,’ and hates his brother, he is a liar; for he who does not love his brother whom he has seen cannot love God whom he has not seen” (1st John 4:20). Love is a verb…it is action-oriented. It is a love of God but must necessarily come with a love of others. We can say we love God but if we hate our brothers and sisters, we’re only lying to God because “Whoever says he is in the light and hates his brother is still in darkness” (1st John 2:9). Agape (pronounced Uh – GAH –pay) love is the greatest love there is and this is the love that God has for His own children and the love that was displayed, in action, on the cross. John 3:16 mentions this as Jesus said, “For God so loved (agapaō) the world, that he gave his only Son, that whoever believes in him should not perish but have eternal life.” This is the very love of God and it is a divine, self-sacrificing love that the Apostle John writes about in 1st John 4:10 where it’s said, “In this is love (agape), not that we have loved God but that he loved us and sent his Son to be the propitiation for our sins.” Agape love is willing to die to self and live for others and that might even include giving one’s life to save another just as Jesus did. We can’t have this kind of love without God’s Spirit for it’s not humanly attainable. Shortly after Jesus’ resurrection, the Lord approached the Apostle Peter who had denied Him three times and asked him, “’Simon, son of John, do you love me more than these?’ He said to him, ‘Yes, Lord; you know that I love you.’ He said to him, ‘Feed my lambs’” (John 21:15) but notice the difference in the kind of love Jesus mentions and then Peter mentions and you’ll notice that they’re not the same. It’s like “’Simon, son of John, do you love (agape) me more than these?’ He said to him, ‘Yes, Lord; you know that I love (Phileo) you.’ He said to him, ‘Feed my lambs.’” It seems Peter still doesn’t get it so Jesus again asks, “’Simon, son of John, do you love (agape) me?’ He said to him, ‘Yes, Lord; you know that I love (Phileo) you.’ He said to him, ‘Tend my sheep’” (John 21:16), so Jesus again asks Peter but instead uses the “Phileo” love in saying, “’Simon, son of John, do you love (agape) me?’ Peter was grieved because he said to him the third time, ‘Do you love me?’ and he said to him, ‘Lord, you know everything; you know that I love (Phileo) you. ‘Jesus said to him, ‘Feed my sheep’” (John 21:17). Only later, after the Day of Pentecost, would Peter begin to understand what agape love really was and why it’s superior to all other kinds of love. The highest love of all is agape and this is the love of God that He had for us…dying for the ungodly, wicked sinners who were once enemies of God (Rom 5:6-10). It is easy to love ourselves and to love others with a Phileo and Storge kind of love but to love someone with a godly or divine kind of love (agape), we must put others before ourselves and die to ourselves in serving others. It puts the interests of others above ourselves, just as Jesus died for unworthy sinners. It is an unconditional love…a love that is outwardly displayed toward others (and hopefully, God) and isn’t based upon a person’s performance or how they treat us. If we really do love God, then we will obey His commandments (John 14:15). Paul knew his Greek and so told the Corinthian church (and us!) that “If I speak in the tongues of men and of angels, but have not (agape) love, I am a noisy gong or a clanging cymbal” (1st Cor 13:1). In other words, if we don’t love the body of Christ, the church with a godly, self-sacrificing agape love, we’re just making a bunch of useless noise because love is a verb…it is what you do much more than what we say. If agape is God’s love, then why is phile love also ascribed to God? If agape is God’s love, why is agape ascribed to the ungodly? Thank you Mr. Kranz. Phile love is a love that we should have for one another in the world and in the church. It is a love that the church has for one another. I don’t see where the Bible teaches that agape love is ascribed to the ungodly. There is no evidence for that. We can only love God because He first loved us. Where do you get the idea of agape love being what the world has? Previous post: How Many Children Did Job Have?